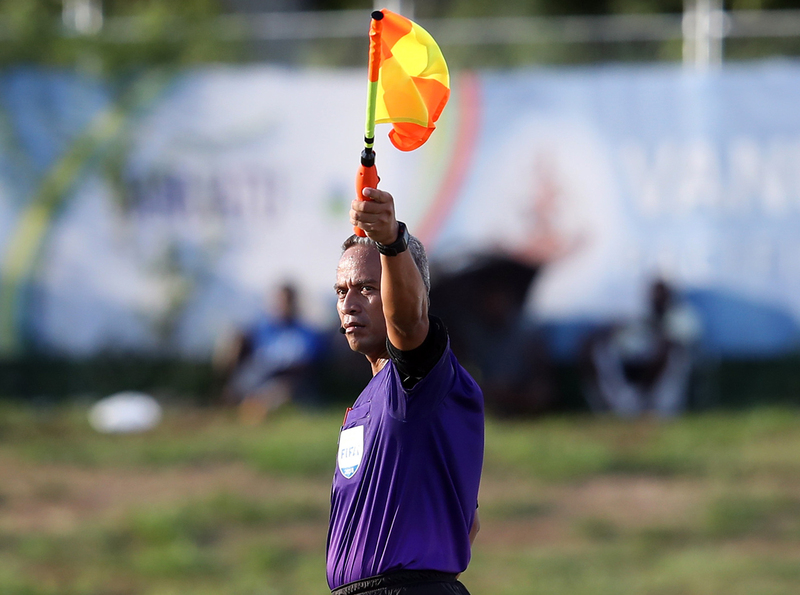 Tonga may not be heading to Russia for the 2018 FIFA World Cup, but they’ll be represented in some way with assistant referee Tevita Makasini receiving the call-up as a member of an Oceania match officials trio. The Tongan high school tutor has been involved in FIFA tournaments before, but to be going to the global showpiece is an absolute dream come true. “When I received the email, my first reaction was to pray and thank the God almighty for the blessing, and to ask for his guidance and protection,” Makasini said. Makasini will join New Zealand referee Matt Conger and assistant referee Simon Lount in making up the Oceania trio, and he is excited about working with the Kiwi pair once more. “I will work together with my fellow officials from Oceania and of course we must do our best out there,” he said. Just like with players who hope to appear in a World Cup, the commitment for a match official is high if they want to be appointment, and get games once they are there. Makasini said he has had to make a lot of sacrifices but it has all been worth it. “My journey to this FIFA World Cup has not been easy but Tevita Vea and Tonga Football Association offered their support and assistance, so I wish to thank them for everything,” he stated. Makasini is a tutor at Tailulu College and required special permission from the school to travel to Russia. Tonga Football Association CEO Lui ‘Aho said the association is overwhelmed to have Makasini representing it, and the country, in Russia next month. “The appointment of Ti Makasini to the FIFA World Cup in Russia is another milestone for Tonga Football as we are represented on the world stage,” he said. ‘Aho said he is delighted to have such a great ambassador for football, Tonga and Oceania in Makasini, adding that he hoped Makasini’s achievements might be the encouragement others need to get involved in refereeing. Makasini will travel to Italy to join his fellow match officials for the pre-tournament seminar and final fitness test before travelling on to Russia.